Happy Thursday, we are talking about Christmas Elves! 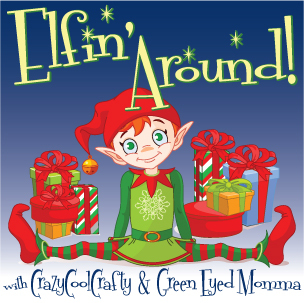 Have you heard of Elfin' Around, Elf On the Shelf, Magic Elf, or Elf Mischief? Do you have an elf in your home? What is the silliest thing your elf has done? I cannot wait to introduce you to Buddy and Max, whom we adopt every year after Thanksgiving through Christmas! Join in on the fun, and share your Christmas Elf tradition! Next week we are talking about holding it together during the Holidays? Are you exhausted or on top of everything on your list? Are you happy to say that all is wrapped and ready to go? Are you frazzled and begging for more hours in the day? Join in on the fun, and comment below! See you next Thursday! You are SO smart for plotting the list out in advance. Seriously that is brilliant! Thank you Liz for stopping by! I would lose it, if I didn't plan ahead! I am not going to fool myself into thinking that a last minute idea at midnight is going to work...make a list, it saves stress in the end! Oh my-I wish I would think to plan ahead!